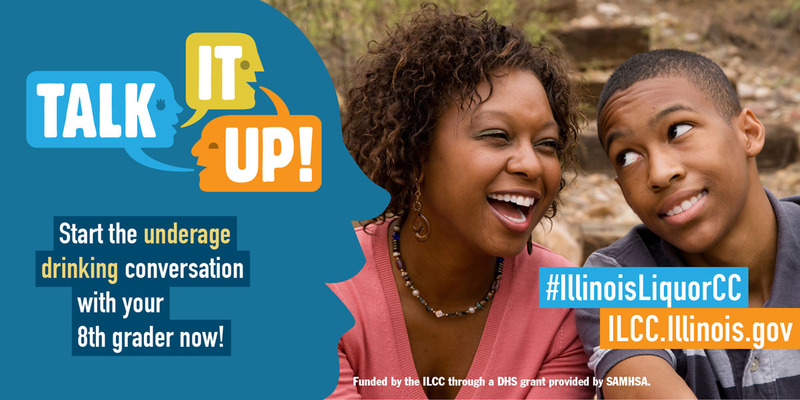 Overhaul the ILCC website to make it more intuitive and user-friendly, while ensuring that it integrates with the State’s existing Windows Sharepoint content management system. 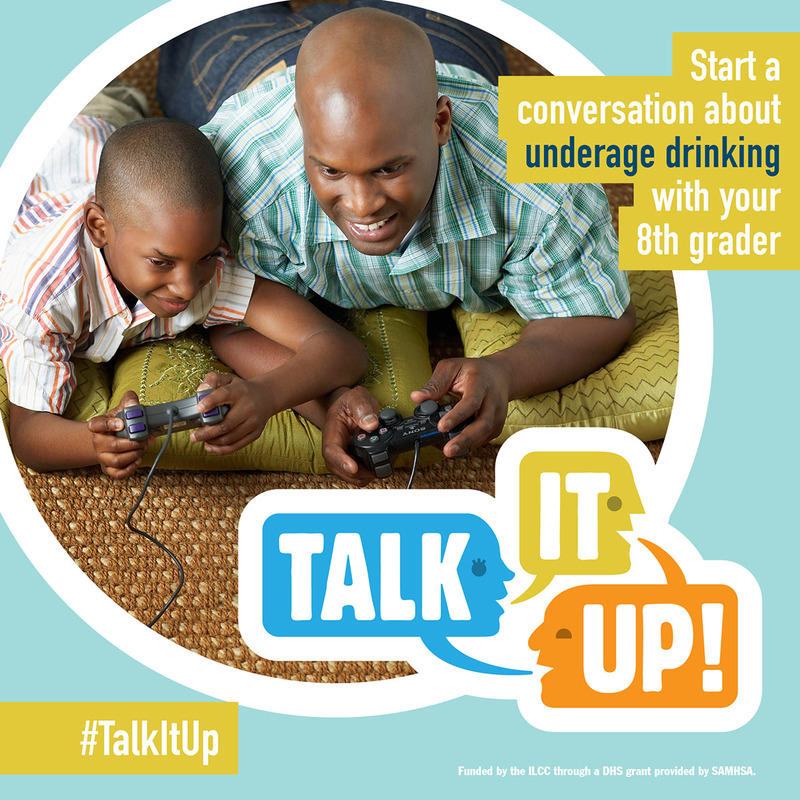 Create a campaign to raise awareness among parents and adults in the general public about their role in preventing underage drinking. Communicate to diverse audiences including manufacturers, retailers, parents and young people who are accessing the website for different reasons. To make the ILCC website more approachable and easier to use, Birk.Creative implemented a unique and easy-to-recognize branding system, clear messaging, streamlined content, and a simplified navigation. The new website needed to include search and multi-language support. Analytics were integrated to ensure measurement of success. Social media channels and a monthly blog was also established. Birk.Creative trained ILCC staff on how to use social media to drive public engagement, manage brand reputation and conduct crisis management. 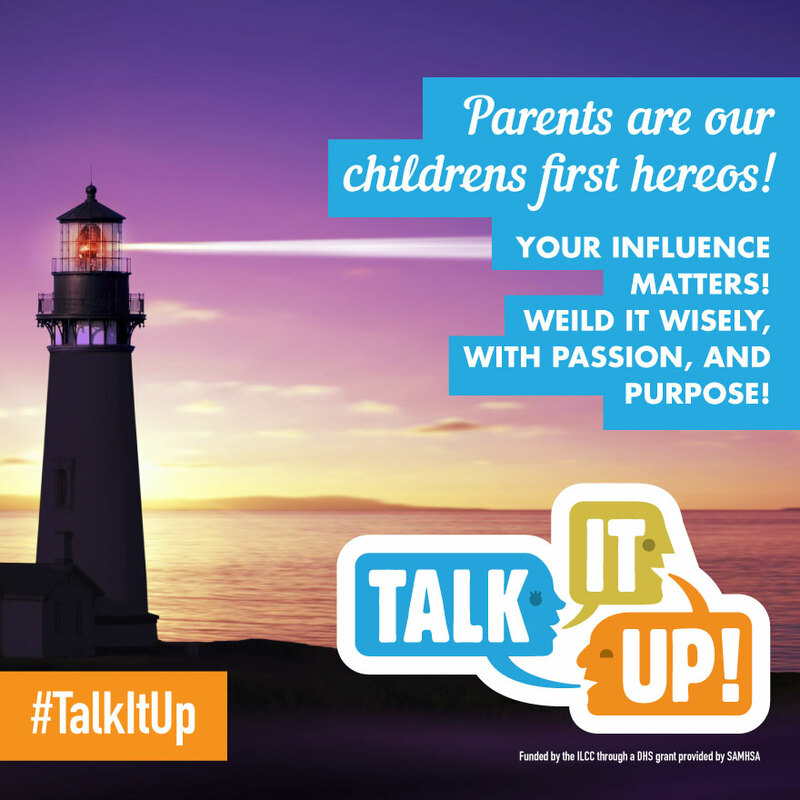 The bright and colorful “Talk it Up” campaign was created increase parent responsibility and to help parents start conversations with their middle schoolers. The campaign was executed through colorful graphics, an engaging social media campaign, billboards, PSA radio and television spots and robust paid social media and keyword ad buys. For the agency website, analytics show a 5000% increase in public engagement and access across all touchpoints on the website. ILCC has received positive feedback from stakeholders, taxpayers and liquor licensees and manufacturers about how much easier it is to find what they need on the new website. The new website is reducing the amount of calls the agency receives, and has freed up staff time up to work on other initiatives. 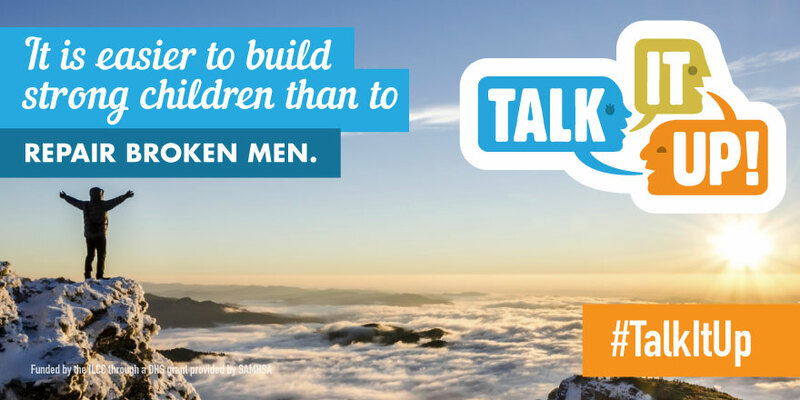 The “Talk it Up!” campaign has been so successful that it is being implemented again with a larger ad spend budget for the next fiscal year. The campaign has been replicated by other states. 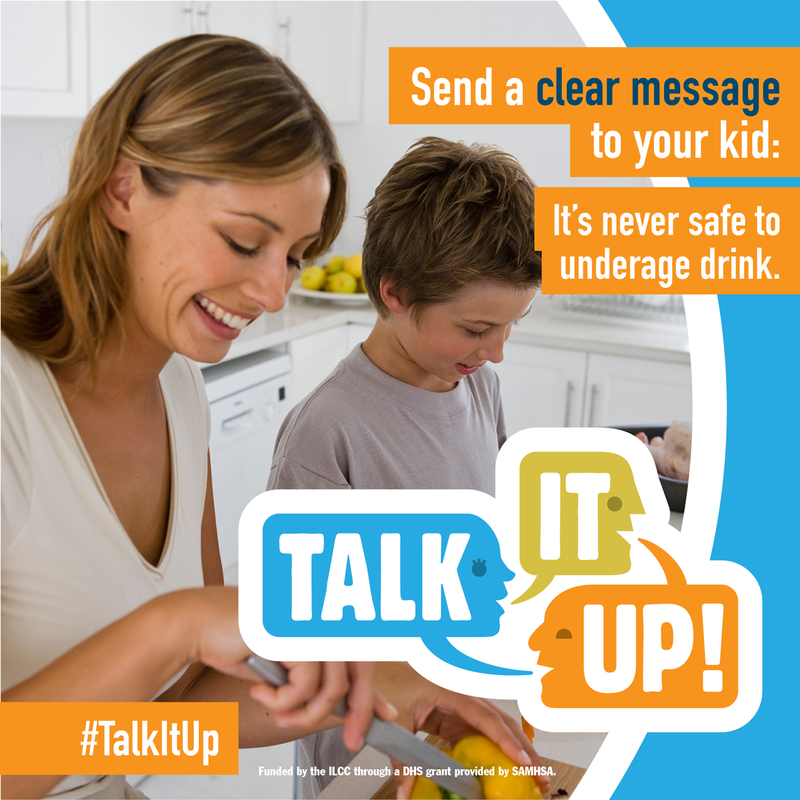 Starting the alcohol conversation early with your child has proven to be the most effective approach in combating underage drinking. This interactive eBook includes videos, how-to instructions, and tips for parents. And you can download it for FREE! 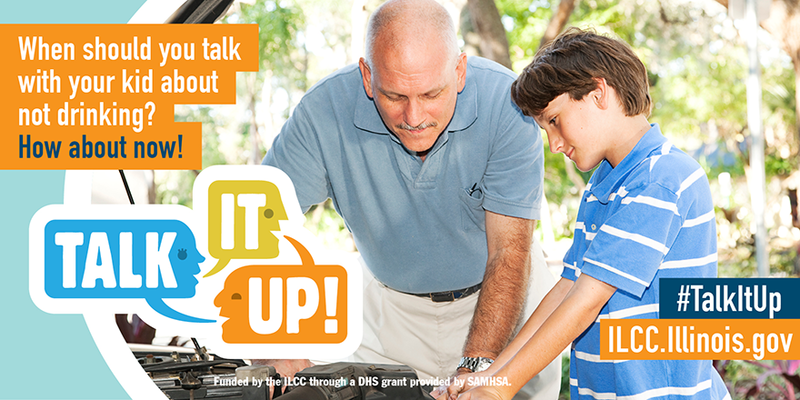 Our research shows that contrary to popular opinion, kids do listen to their parents. 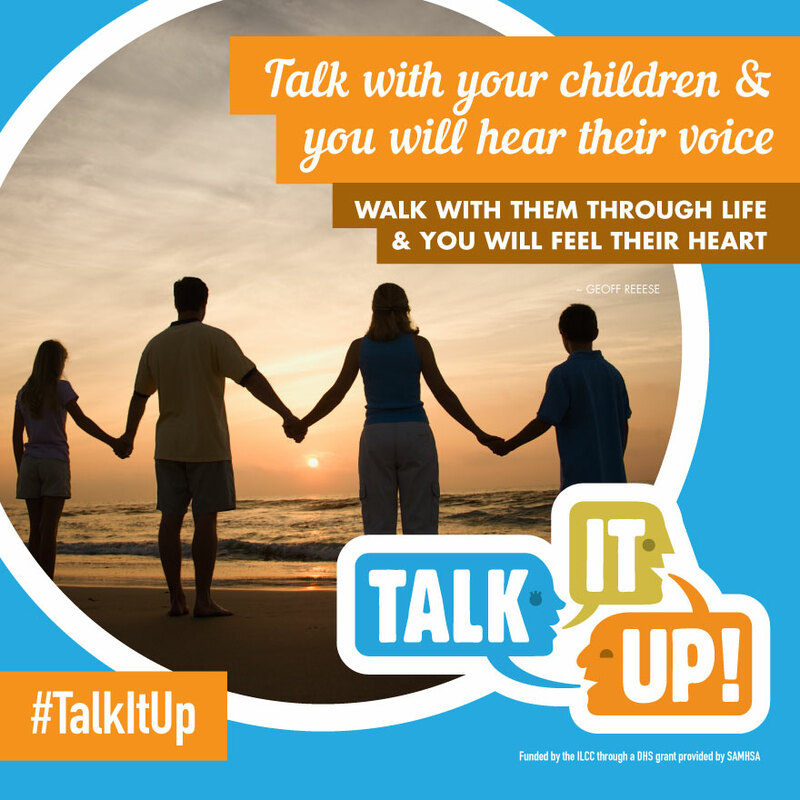 And the sooner parents start the conversation, whether it be in person or online, the more effective they will be. 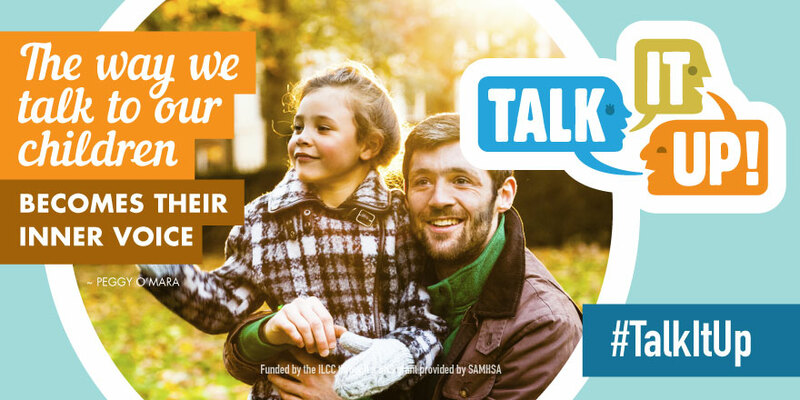 We have created graphic tools to help parents do just that. Download, print and share these new commercials, radio spots and graphics with your children and your network of friends and family. Post them to your social media network. Help us continue our collective work on this campaign. Your voice and actions WILL make a difference. 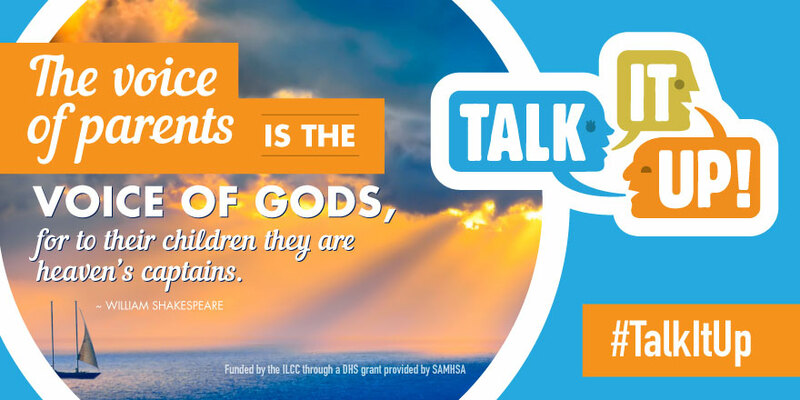 The Talk It Up! logo may NOT be used to endorse any commercial product or service. We have launched an ILCC presence on the most vital social media platforms including Facebook, Twitter, YouTube, Pinterest and Instagram. We’ve created special badges to share with families that take a pledge to not provide alcohol to minors because it’s a crime. Download and print, or share on your social networks. Our research shows that contrary to popular opinion, kids do listen to their parents. 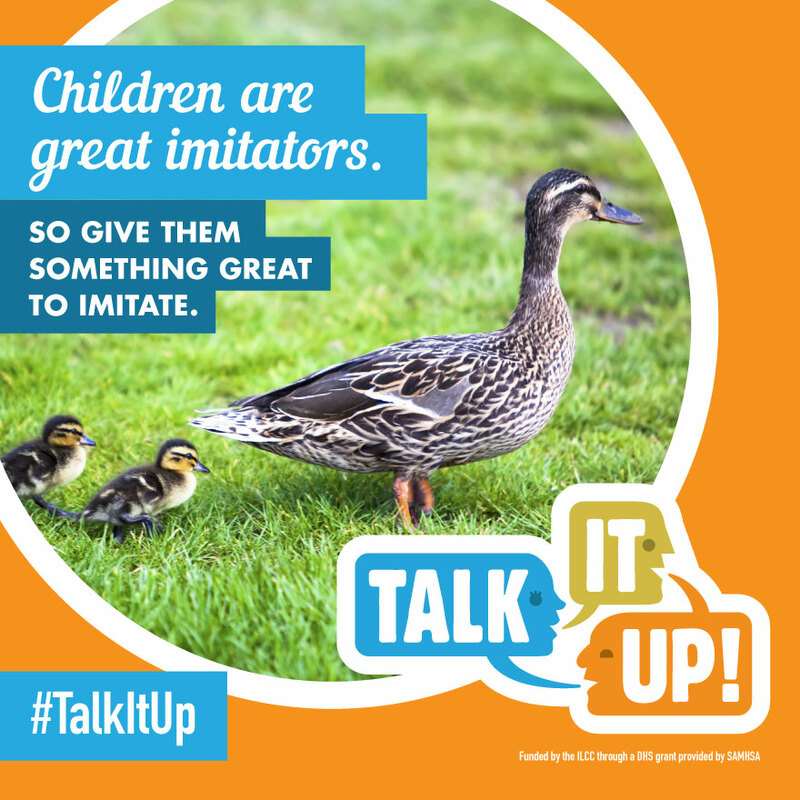 And the sooner parents start the conversation, whether it be in person or online, the more effective they will be. Help us continue our collective work on this campaign. Your voice and actions WILL make a difference. How about a dose of daily inspiration? Download and share a few of our quotes and share with your network. We are all in this together!